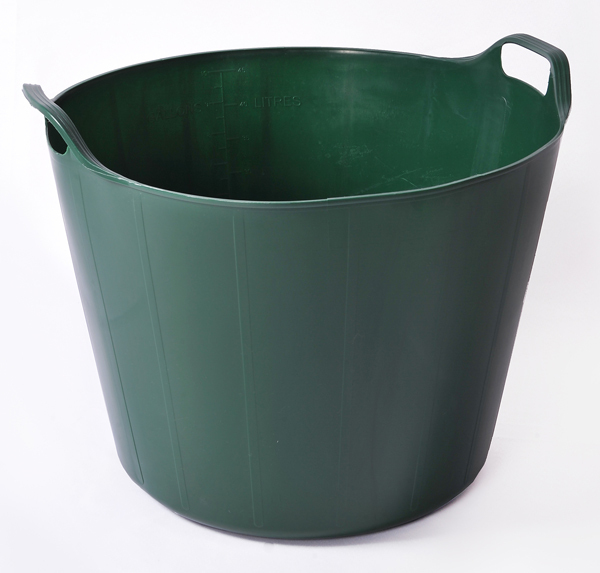 RainbowTrugs | Plastic Containers and Tubs | Trugs | Buckets | Bins | Garden Planters | Feed Tubs. Flexible colourful plastic containers – made in Britain. Available in 6 sizes and a wide variety of colours. Rainbow Trugs themselves and the Rainbow Trugs lid are made in Britain. 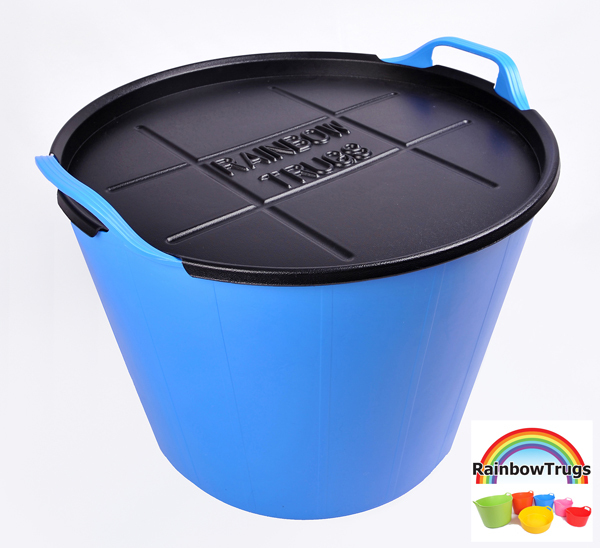 Rainbow Trugs are food safe and UV stable. Inside there is a gallons and litres indicator. Some of the other stuff on their website is made abroad though. Look for the Union Flag next to the item’s picture I assume to see what is British made. British made items include Rainbow Trugs, pot stands, Rainbow Trug Riddle, Rainbow Trug lid, Easi Skip Feeders, 3 gallon buckets, Rhino feed buckets, Rainbow feeders and tidy trays. This entry was posted in Buckets, Gardening, Household products, Plastic Boxes, Plastic Products, Boxes, Rainbow Trugs and tagged Animal Feeders, Bins, Boot Tidy, Buckets, Laundry Baskets, Made in Britain, Pet Beds, Plastic Containers, Plastic Tubs, Rainbow Trugs, Trugs, Tubs on February 10, 2013 by ukmade. 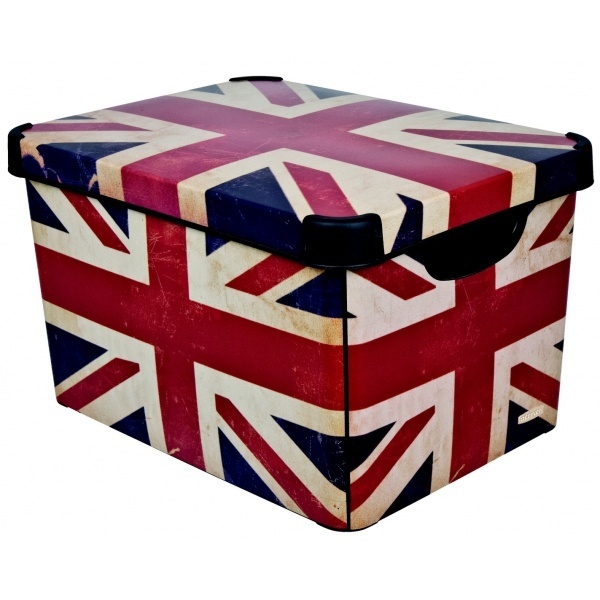 Union Jack plastic box by Curver. Made in the UK. 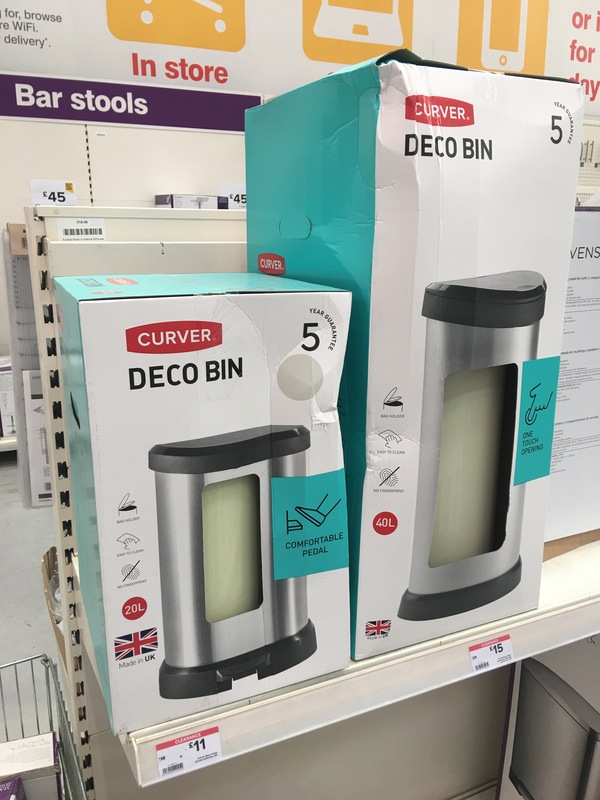 Curver Deco Bin 20L and 40L, both made in the UK. Photograph by author 14 April 2018. 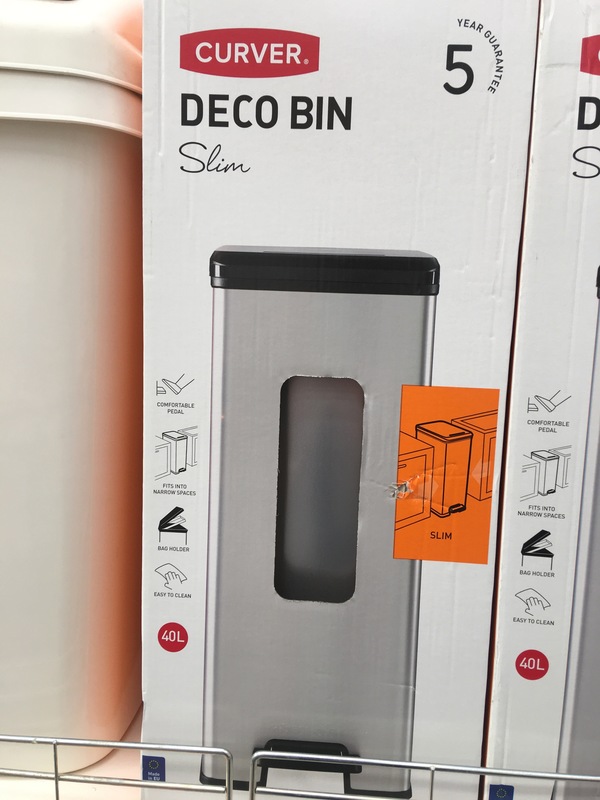 Curver Deco Slim 40L – this bin is foriegn made. 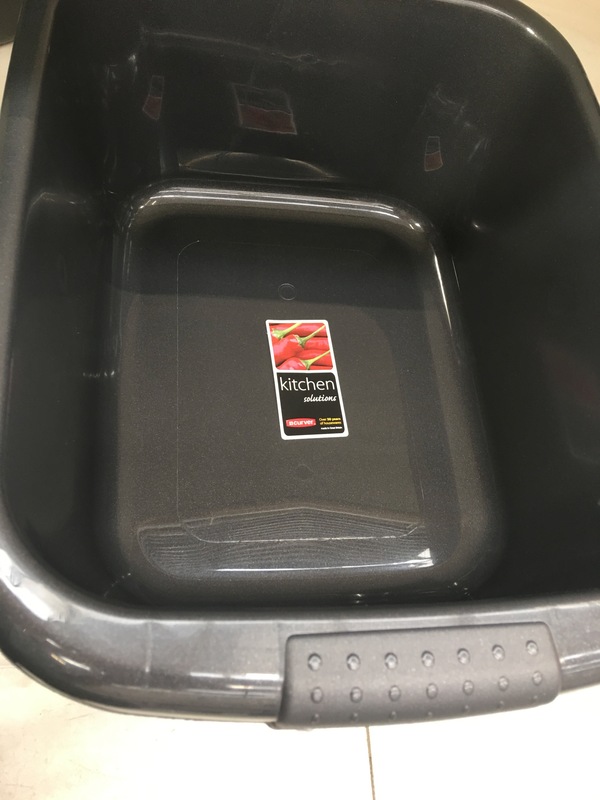 Photograph by author 14 April 2018. 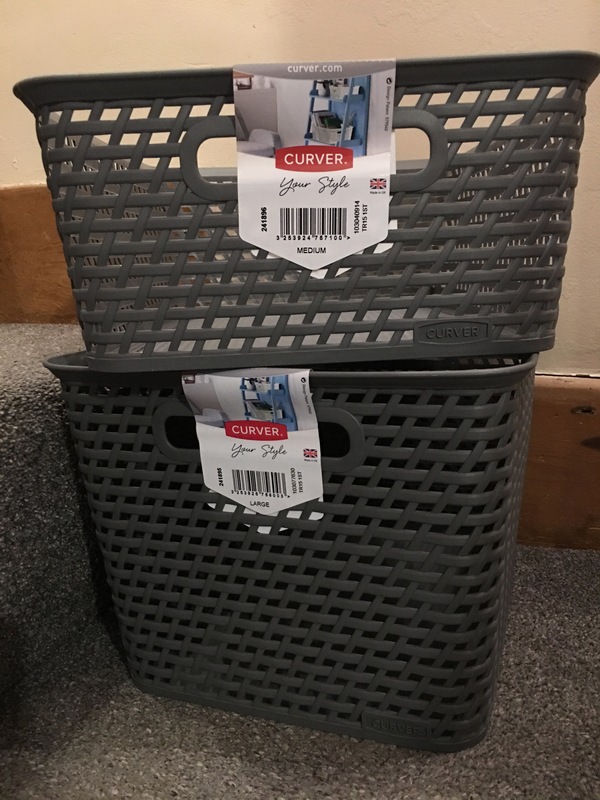 Curver wicker style baskets, small and large, Made in UK. Photograph by author 27 January 2019. This entry was posted in Brushes, Buckets, Household products, Laundry, Plastic Boxes, Plastic Products, Boxes and tagged Addis, Applied Thoughts, Aquapac, Bentley Brushware, Bins, Boxes, British Drainers, British Made Laundry Baskets, British Made Plastic Storage Boxes, Craemer UK, Crown Cork, Curver, Dub’l-Lif, EHP, Environmental Hygiene Products, Garland, H and O Plastics, H&O, H&O Plastics, HandO, Handwash, Harold Moore, Hill Brush, HS French Flint, InHouse, Kingsley Plastics, Laundry Bags, Laundry Baskets, Lifemarque, Lifeventure, Linton Metalware, Matricpac, MeterBox, MGB Plastics, Midland Holloware, Minky, P. Wilkinson Containers Ltd, Paradean, Plastic Boxes, Protec, R.Russell Brushes, Rainbow Trugs, Really Useful Boxes, Robert Scott & Sons, Rubbish bins, Salmon Brushes, Satco Plastics, Stewart Garden, Storage Boxes, Straight Ltd, Strata, Tesco, The Burford Garden Company, The Jet Rest, TML Housewares, Turner & Harper, Weston Boxes, Wham, What More UK Limited, Whitefurze, Wilko, William Say & Co Limited on November 1, 2012 by ukmade.